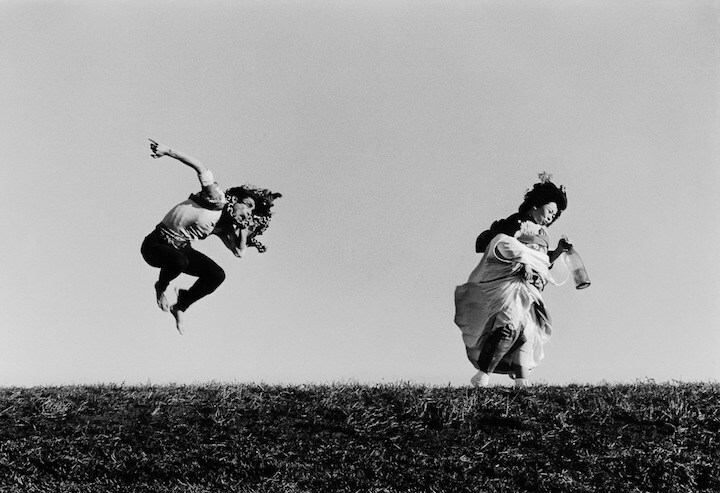 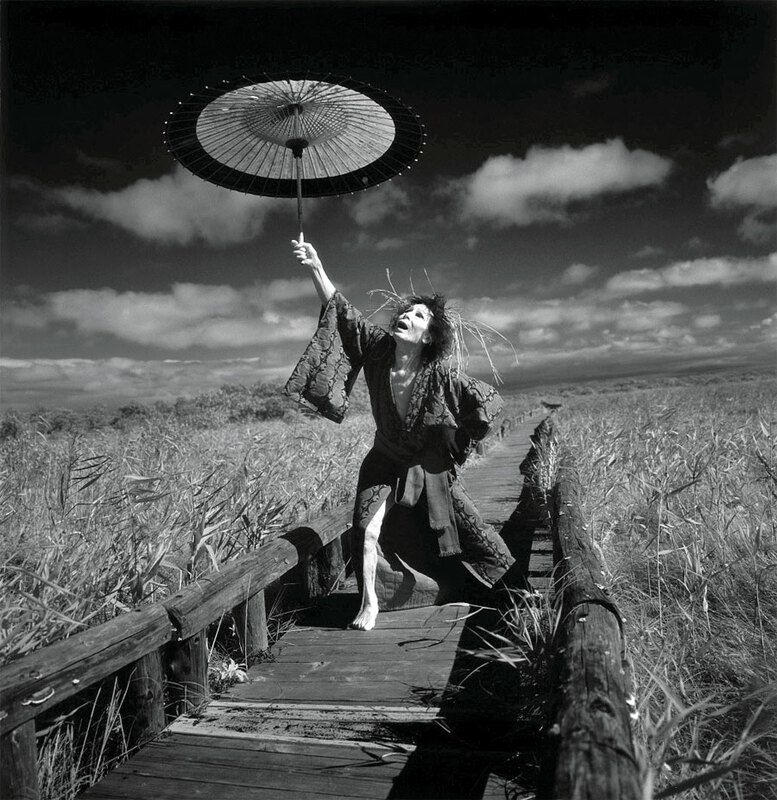 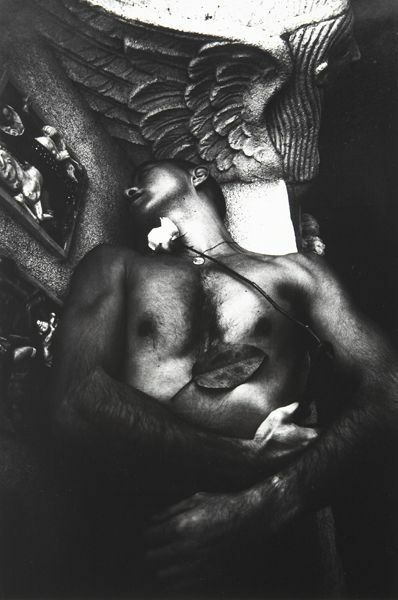 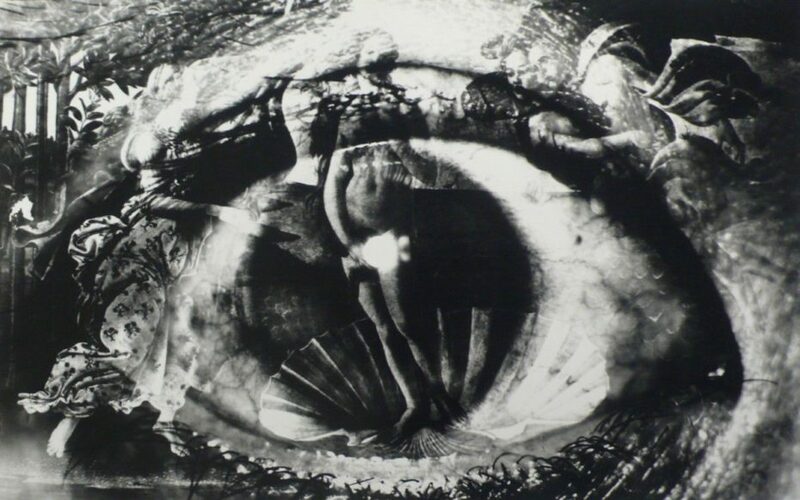 The cultural shift between pre and post-WWII world Japan was complicated and often divisive, but if you were photographer Eikoh Hosoe, that tension became fuel for creative expression that turned into a surrealist dreamworld – or nightmare, depending on who you asked. 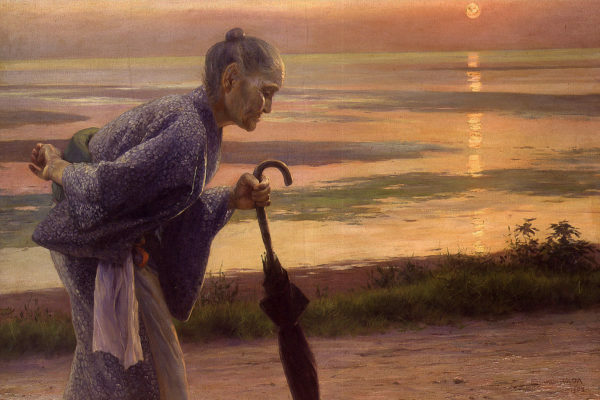 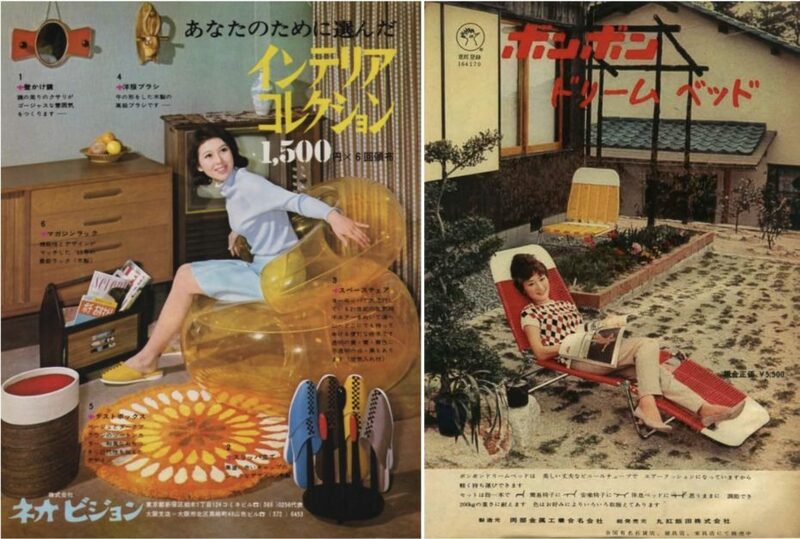 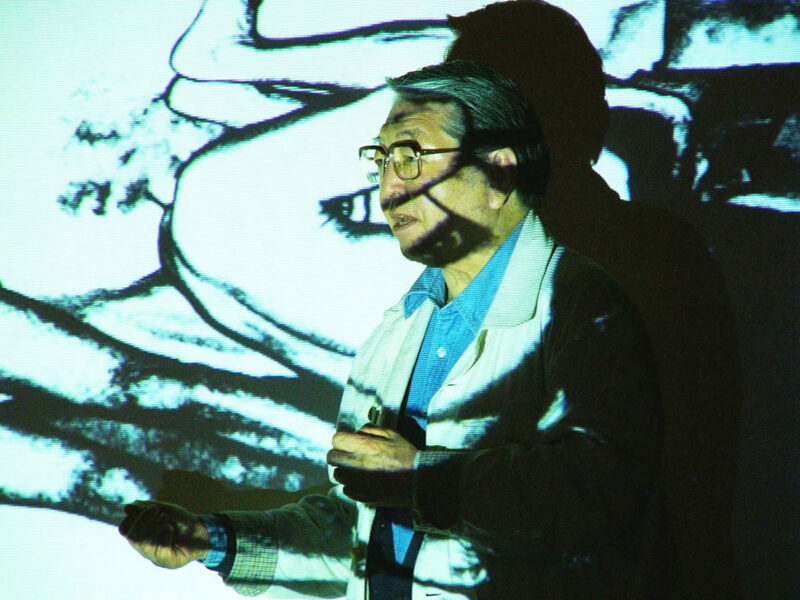 The Japanese artist’s works mirrored the state of a shell-shocked country in the midst of Westernisation as early as the 1950s (which we’ve already talked about in detail here), as he created images that dealt with the intersection of identity, illusion, and tradition in his homeland. 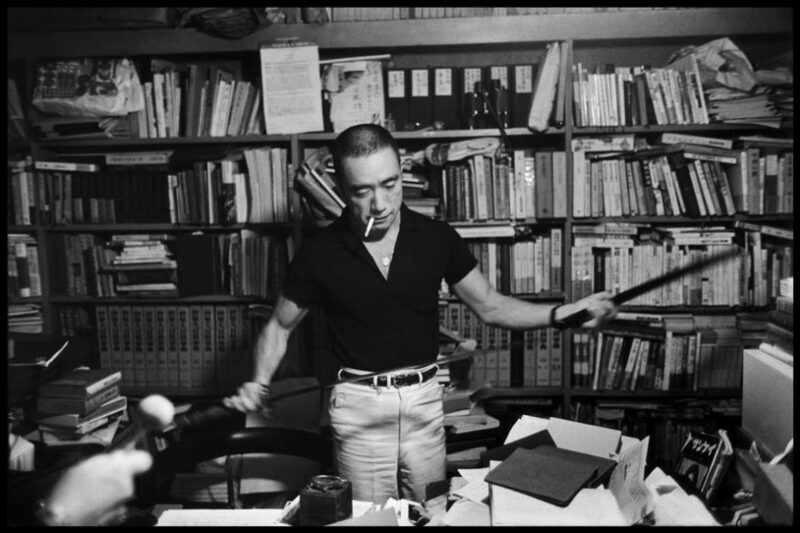 One of Japan’s most controversial figures, Mishima was an actor, author, poet, and playwright, but always in the service of a Nationalist ideology. 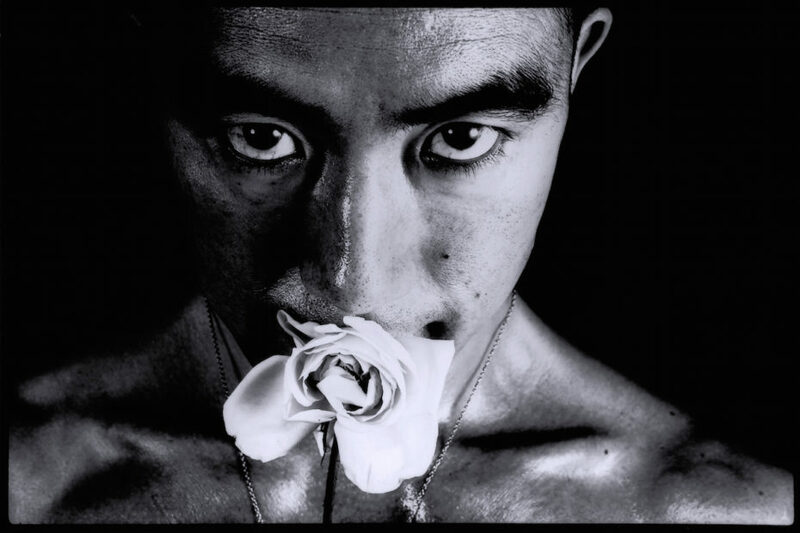 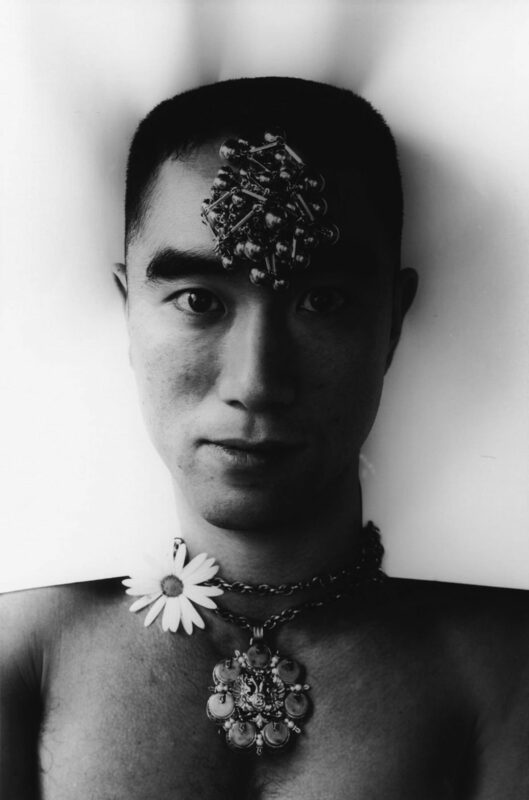 He was the perfect medium for Hosoe to explore the clash between new and old Japan, because as much as he was a symbol of the traditional, Mishima was also revered in underground circles as a homosexual writer — think a fascist foil to Oscar Wilde. 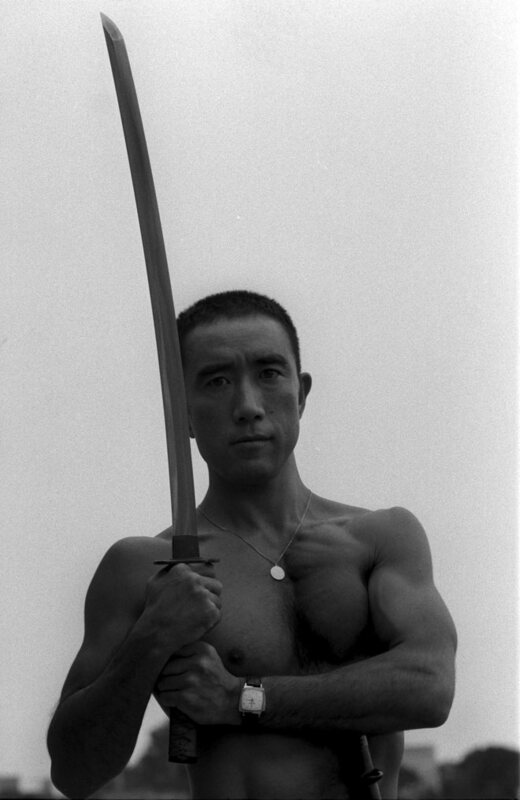 And with a Samurai sword. 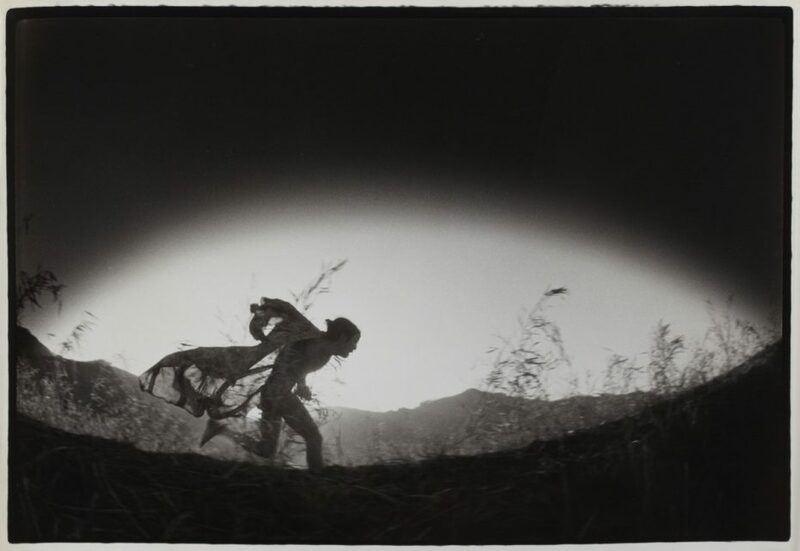 Hosoe’s fascination with identity in post-war Japan started in his teens, when he was in his school’s English language club and photography society. 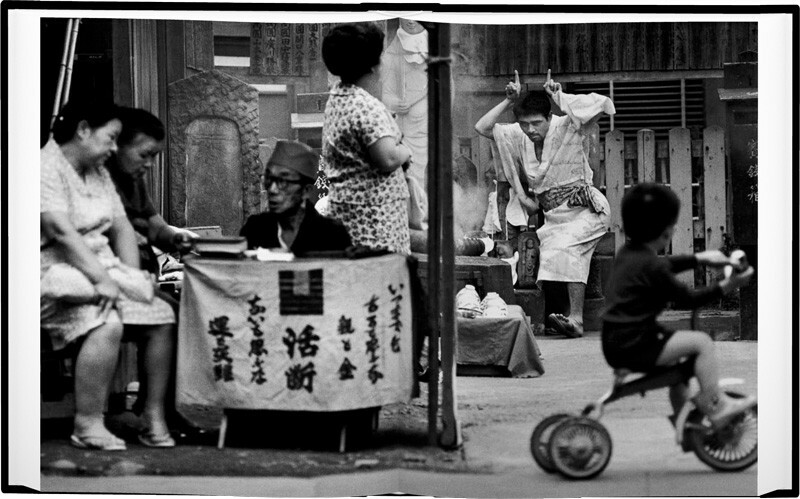 His cousin advised him to change his name (then, Toshihiro ) to something “more suited to the new era.” Thus, Eikoh was born, and he went armed with a camera into neighbourhoods where U.S. military housing was established. 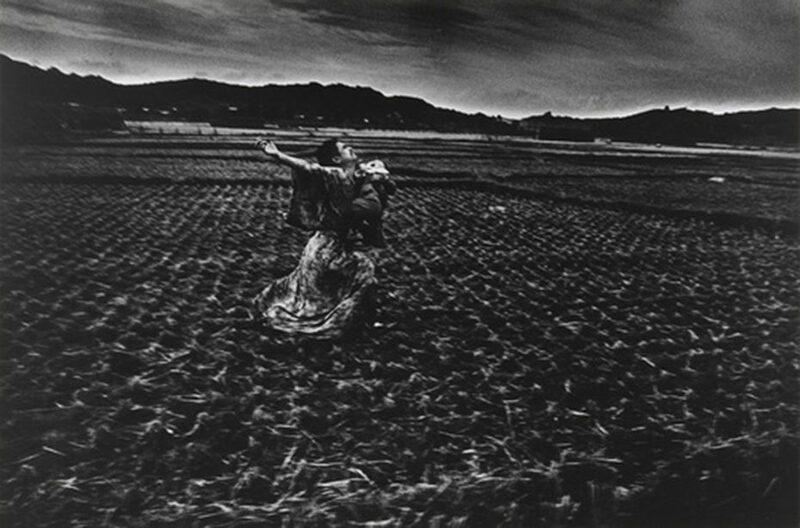 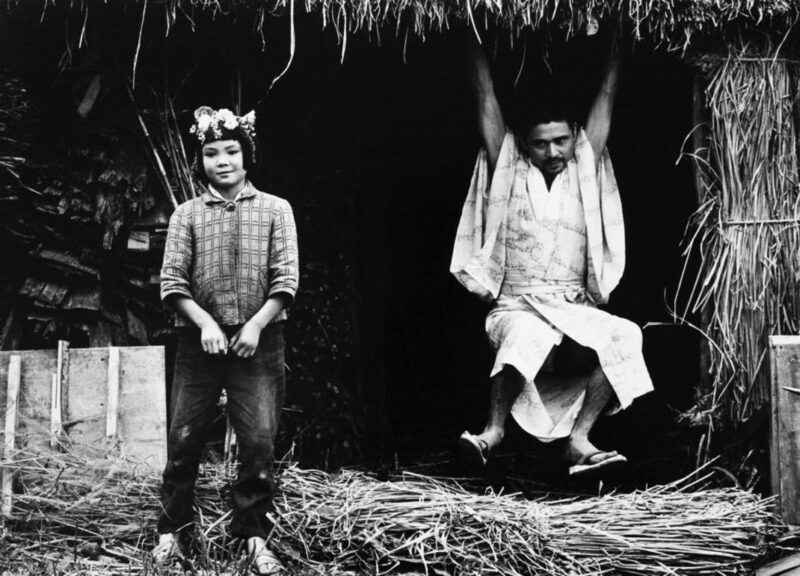 The images he captured were often unsettling because the times were unsettling, and today critics see Hosoe’s life work as both a reality check, and a kind of psychological escape. 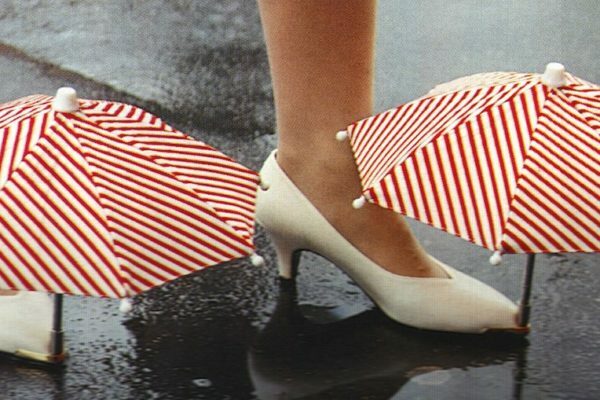 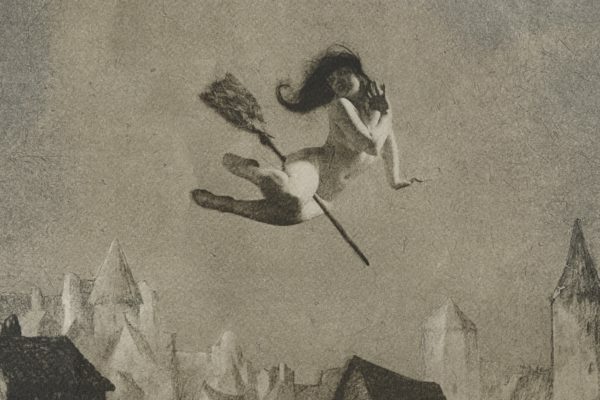 For New York Times critic Margarett Loke, Hosoe was on the brink between Surrealism, and the contemporary equivalent of becoming a full-blow Goth. 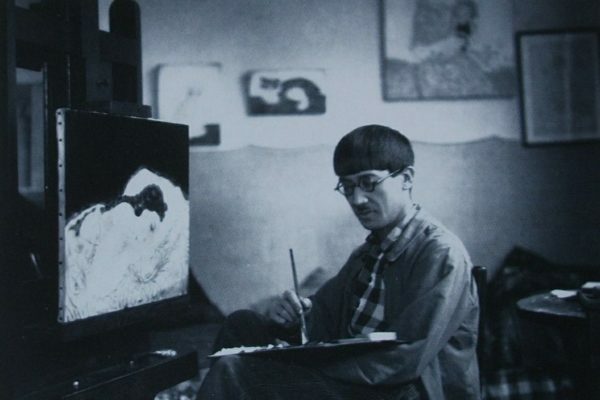 Yet, his attraction to the dark and phantasmagoric wasn’t really a rejection of life and joy — nor a defeatist attitude towards the future. 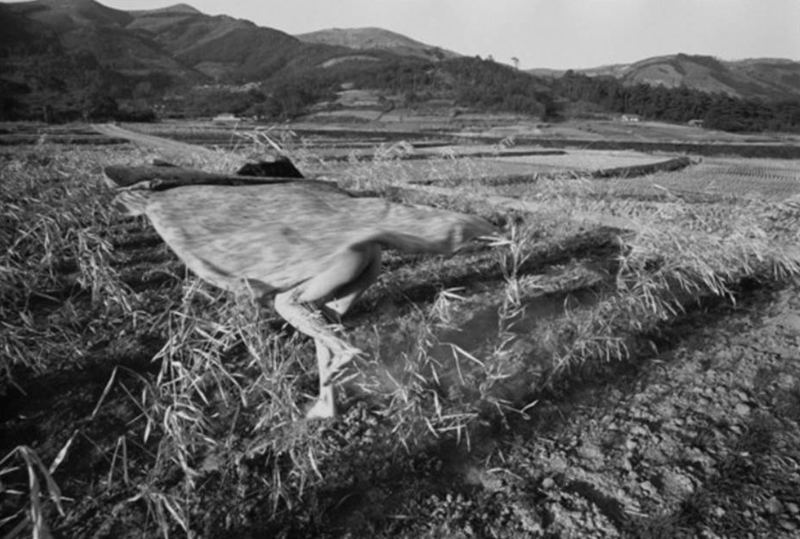 “When you take a photo at 1/1000 of a second, the moment can become an eternal fact,” Hosoe explained, “an eternal moment.” They were born of destruction, but preserved a collective memory. 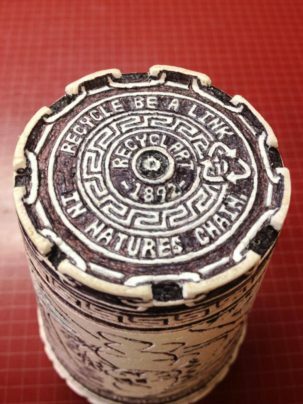 Searching for Doodle Man: Who Doodled on this Styrofoam Cup like a Legend?